(CBS/AP) BUTLER, Ga. - A 15-year-old Georgia girl told investigators her adoptive parents made her spent days locked inside a small outhouse and chicken coop, wearing a shock collar as punishment for not doing her school work, authorities said Thursday. 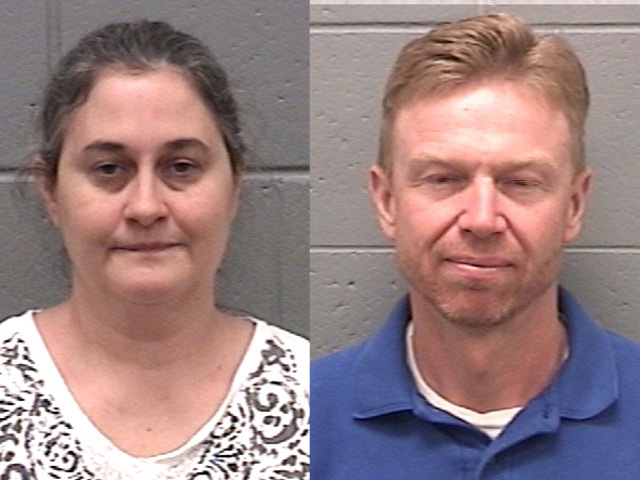 Samuel and Diana Franklin were arrested earlier this week on multiple counts of child cruelty and false imprisonment. They were released on bond and left the courthouse Thursday for what appeared to be a custody hearing. The girl was adopted around 2007 and was home-schooled in a house outside the small town of Butler, about 85 miles south of Atlanta, said Special Agent Wayne Smith of the Georgia Bureau of Investigation. The Franklins live on a rural stretch of road sprinkled with a few homes and cow pastures, surrounded by a split-rail fence with prominent "no trespassing" signs at the entrance of the driveway. Investigation began on May 25 when child welfare agents acted on a tip and visited the home with the sheriff's department. That same day, Juvenile Court Judge Wayne Jernigan Sr. ordered the teen removed from the home. The girl told investigators that for the past two years, she spent up to six days at a time in the small buildings behind the property as punishment for things such as failing to complete her school assignments, Smith said. The buildings included an outhouse, just a few feet high and about 4 feet in length and width, and a red chicken coop, a larger building. Smith said the girl "might come out during the day a little bit, come in and shower." "I've never seen anything like this personally," Smith said. "If the allegations prove to be true, it's a very severe case." When the parents were taken into custody on Tuesday, investigators found a dog collar on a table in the home, Smith said. The girl told investigators its shock function was operated by a radio signal with a device, similar to those used to lock and unlock cars remotely. It was being examined at a crime lab. The girl lived at the home with another sibling, while two older siblings lived away from home. The charges involve only the 15-year-old girl, Smith said, and there are no allegations of abuse involving the other three children.